Founded in 1991, CamAlarms Limited is a family business that offers a friendly, professional service. 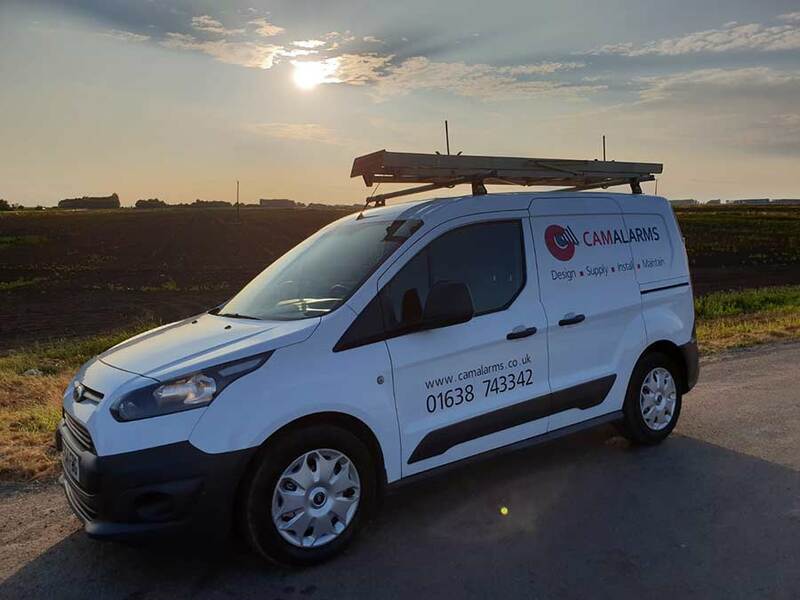 Many members of the CamAlarms Design, Installation and Maintenance teams have been with us from the start, so we know our business, know our clients, understand the sectors they operate in, and take pride in providing them with excellent customer service. Working from our newly built offices on Fordham House Business Estate, close to Cambridge, one of CamAlarms strengths is a sensitive approach in designing and installing discrete systems for both modern and historic buildings. Our expertise is built upon working with products ‘in the field’. This means that the correct product for the situation can be specified and, of equal importance, potential problems of combining non-compatible products can be prevented. Never before has there been such a choice of fire alarm and security system products from so many manufacturers. CamAlarms has always maintained a non-aligned policy because only as an independent company can we advise customers without prejudice. At CamAlarms we begin with a comprehensive site survey, designed to understand your specific requirements. As part of the service, we will identify any areas of your premises that are currently non-compliant. 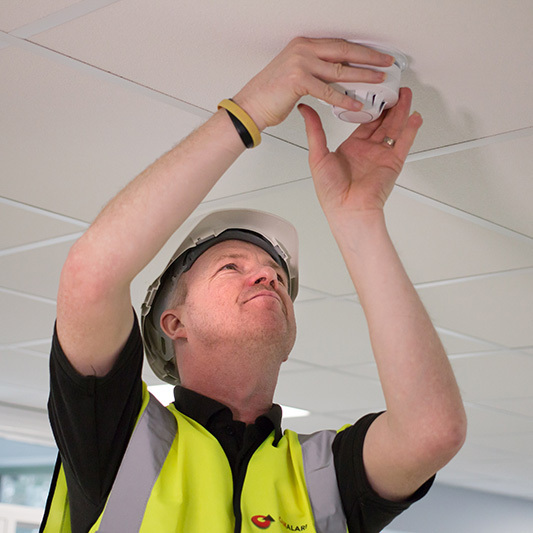 CamAlarms can offer a unique supply option to end users too if they so wish to install products themselves with freely available advice on how to correctly install. We also provide certified commissioning for the end product. CamAlarms operate an ISO9000 quality management system and are approved to BAFE SP203, for all disciplines, and SSIAB to the relevant standards. We also hold Silver Member status for Constructionline and are SafeContractor approved. See our accreditations page for more info. Our Installation department has the capacity to undertake large projects including the design, supply, install and commission for any of the above systems. Alongside this, the Service and Maintenance division provide a dedicated Planned Preventative Maintenance (PPM) service along with reactive call outs tailored to meet customers’ needs. Finally, we are able to offer quotations for remedial work as and when this may be identified which our Small Works department will undertake. See our maintenance page for more info.